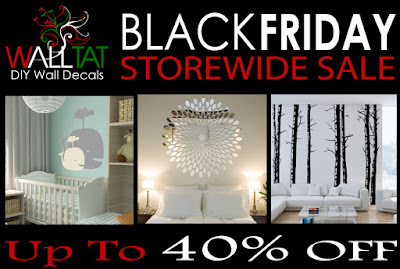 WALLTAT Wall Decals is offering up to 40% OFF Storewide for BLACK FRIDAY savings for all you early bird holiday shoppers! No coupon codes required, the discounts are instant! 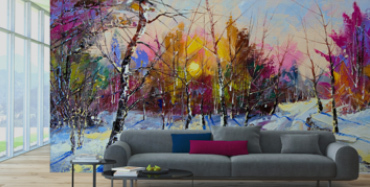 Simply add any wall decal from our many collections and view your savings based on your shopping card total. 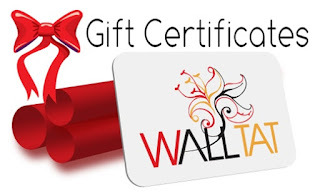 WALLTAT Gift Certificates are also included in the Black Friday Sale. Any quantity, any amount! Available for instant download and printing as a speedy stocking stuffer idea or Christmas card gift for that special out-of-town loved one.